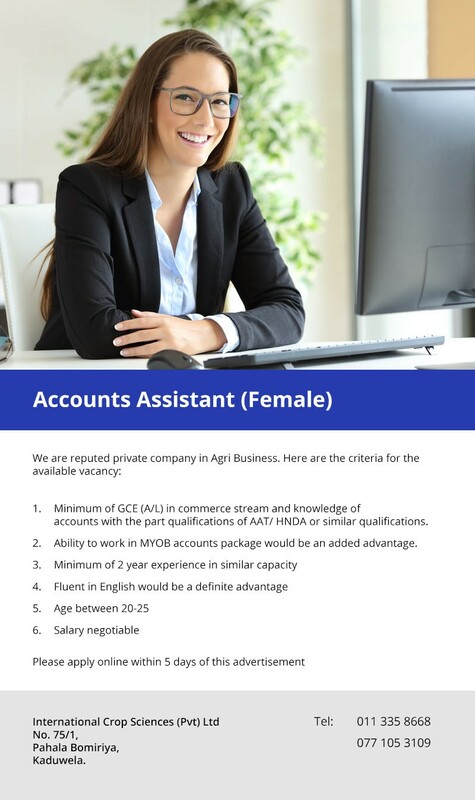 Minimum of GCE (A/L) in commerce stream and knowledge of accounts with the part qualifications of AAT / HNDA or similar qualifications. Ability to work in MYOB accounts package would be an added advantage. Minimum of 2 years experience in similar capacity.Fluent in English would be a definite advantage.